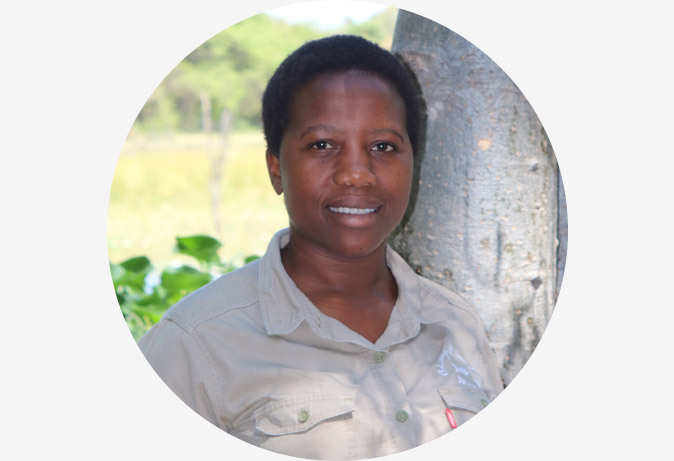 KAS has been running trips into the Okavango delta for 12 years when we took over management of Okavango River Lodge in Maun. We chose the grey hornbill as our logo. It is perhaps the understated of the hornbill family, but has a fantastic call and you will find them in all areas that we operate. A fascinating bird, not only are the beautiful they are incredible parents. The female seals herself into her nest with her young to protect from predators. She leaves a small hole so the male can feed herself and her young! When the young are ready to fledge they break out of the nest. KAS is run and managed by Kate and Neil Kendrick and their partner Marie Kleingeld. Kate and Neil Kendrick have a joint bush experience of over 30 years. 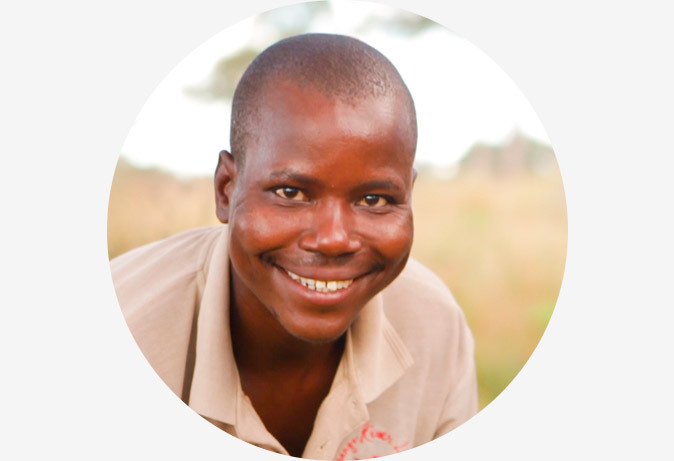 Neil started as a mobile camp manager and quickly elevated to professional guide. Kate worked in the Okavango Delta since 2002, managing a horse back safari operation with a long and excellent history in Botswana. From here she worked as a freelance camp manager at many of the lodges in the delta as well as hostessing for high end mobile safaris. 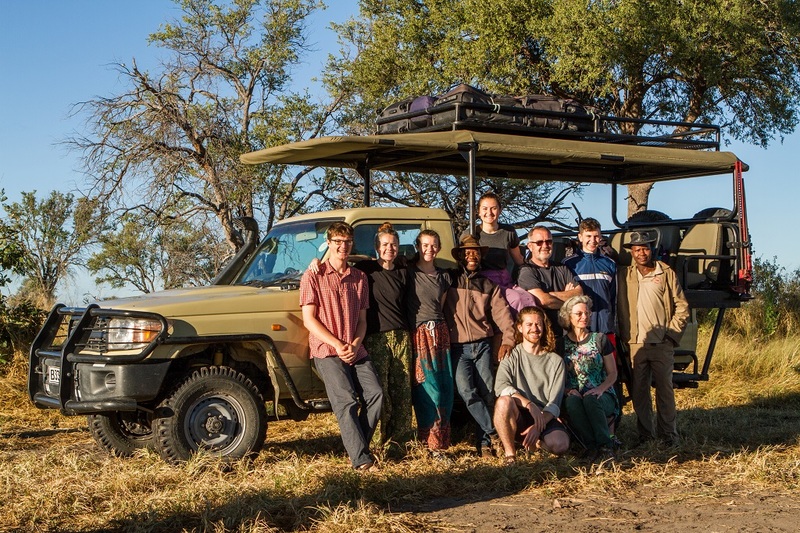 Together they have accomplished an all round experience of safaris in Botswana and the Okavango Delta. Neil’s role within KAS is as a guide as well as keeping on top of all vehicle maintenance! Kate handles all reservations and operations. Gothata is Kate’s right hand! She assists Kate with the packing and prep for all safaris. Gothata has been in the tourism industry for 10 years. We are very lucky to have recruited her three years ago. She has grown within the company to management level and has assisted Kate tremendously within all departments of our company. ‘Voice’ was born in Gumare, the main town on the panhandle of the Okavango Delta. He has been guiding for the past 12 years within the lodge industry and also for mobiles. He now freelances and we are lucky to have him on board our team. He is very passionate about nature, the flora and fauna and is always looking for opportunities to widen his, already very sound, knowledge. Friendly, professional and with quiet demeanor Voice is our hidden treasure. Organ is our master chef! Not only that, he makes sure your tent is put up and covers all camp duties. 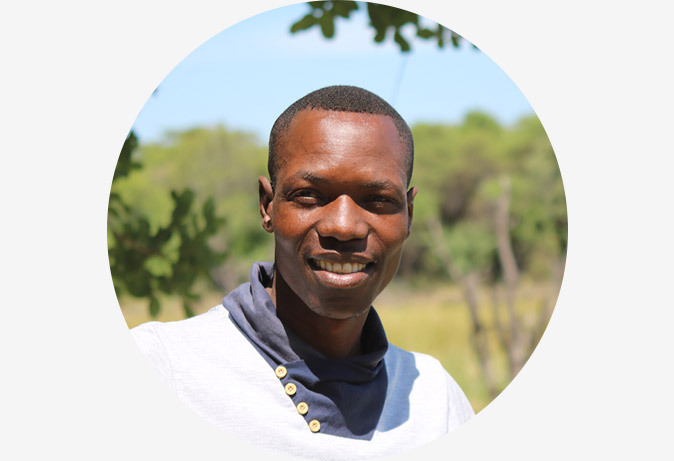 OG has spent the past 8 years working in this role among various safari companies, and he has a huge amount of experience and stories. 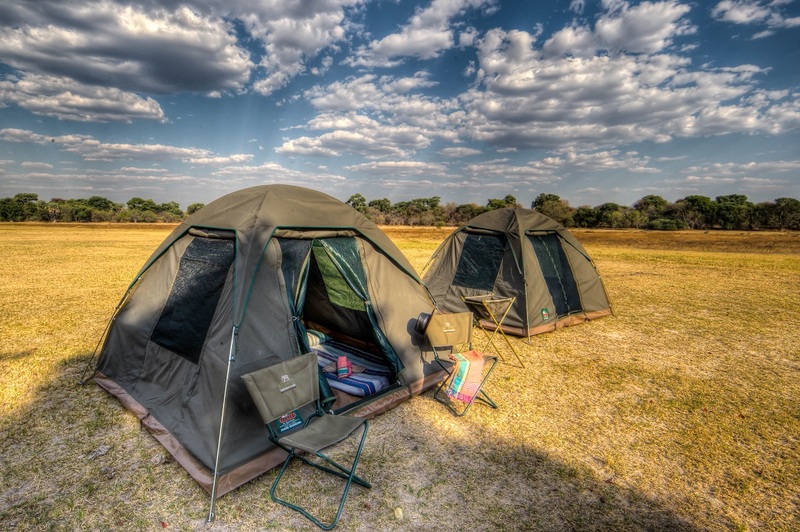 We use a 2.5 metre bow tent with built in floors and mosquito gauze at windows and entrance. 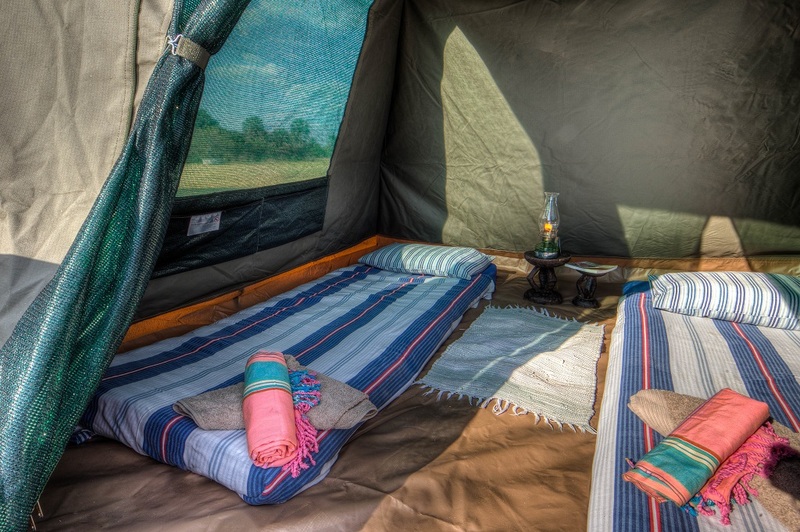 Bedrolls complete with linen and towels are placed on the floor. We can supply streachers on request. When not using public campsites that provide serviced ablution blocks then a bush toilet and shower is set up for you. Our vehicles are Toyota Landcruiser modified into Game Viewers. Canvas Roof and open sides each vehicle can take 9 guests. 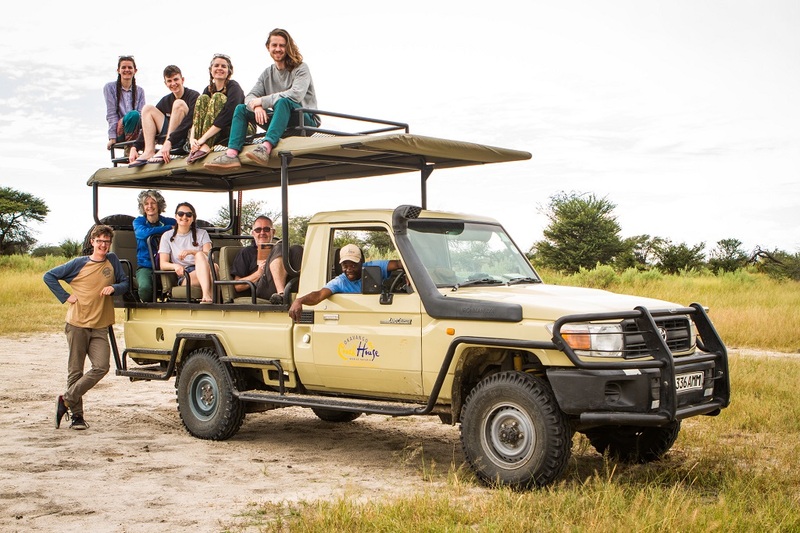 Everything we need for safari is packed into a trailer that gets towed behind.